Welcome to Michael Grieveson and Company, Chartered Surveyors located in Teddington, Middlesex. 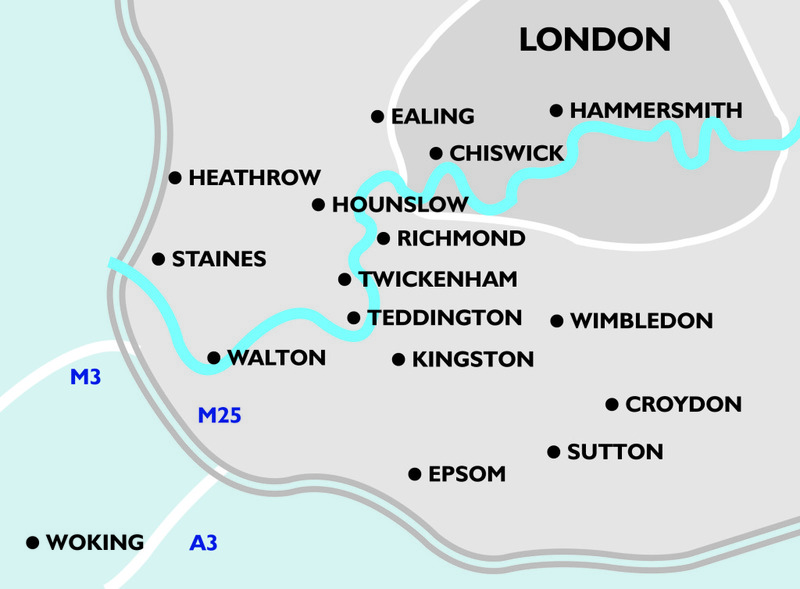 We provide a customised commercial property service for corporate, institutions, developers and private clients specialising in London and the South East of England. Most of our work is within the area show in the map below. The principal of the company has over thirty five years of commercial property experience and has acted on behalf of a wide ranging client base on some of London`s best known property landmark buildings.